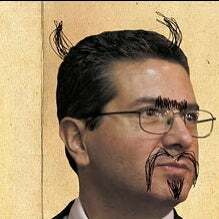 Here's your daily link to Dave McKenna's brilliant "Cranky Redskins Fan's Guide to Dan Snyder," which we'll be posting until Snyder's dumbass libel suit vanishes like manners at a pig trough. Our installment today comes from the Washington City Paper itself, whose publisher, Amy Austin, ran a letter to readers announcing that the paper's legal defense fund to which we've been urging you to contribute has raised $28,000 to ward off the thuggish lawsuit. That's enough to buy a couple lawyers lunch for a week. So give more. But beyond the thrill of fighting to defend our journalism, there's also something deeply troubling going on. Snyder's litigators, and ours, are about to spend significant time and money battling over a series of legal complaints that, in our view, don't represent what our story actually said or implied. The story didn't actually say the things Snyder has claimed it does-like call him a criminal, or a user of illegal military chemicals, or mock his wife's battle against breast cancer. It did none of those things. In media interviews and in our own pages, City Paper editors have pointed this out repeatedly since the case was filed. The last three weeks have reminded me that the region is filled with fans who want to see the Redskins build a winning team, coaching staff, and organization. They want you to bring the generosity of spirit your lawyers described in reciting your charitable activities to everyday interactions with players, fans, and ticket holders. No one can argue that Snyder is generous with players. He's viewed around the league as a hacked ATM machine. But generous to fans and ticket holders? Come now.